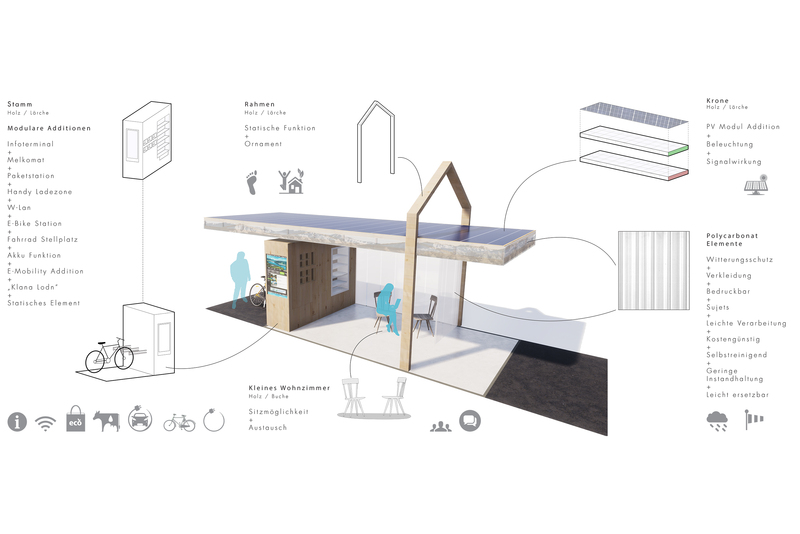 A design proposal as a reflection of landscape, built environment and society. 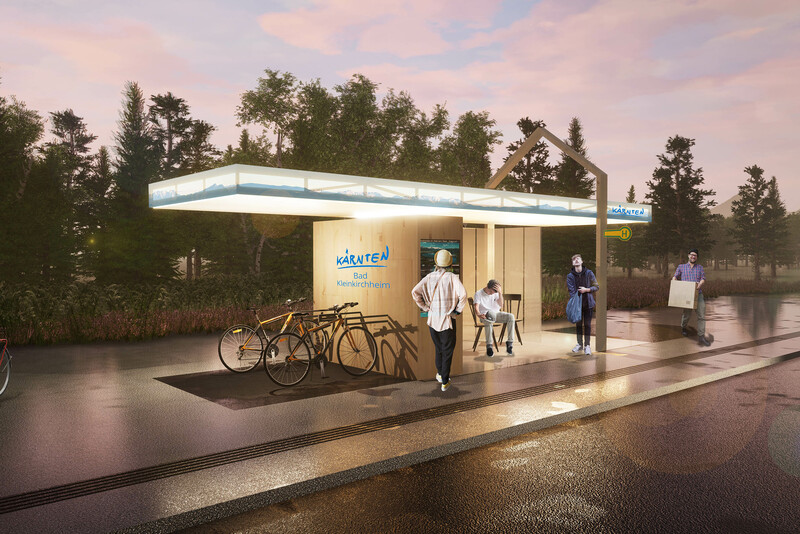 The modular bus stop offers a place for information, interaction and general supply. Important elements, which shape and form our architectural aim.